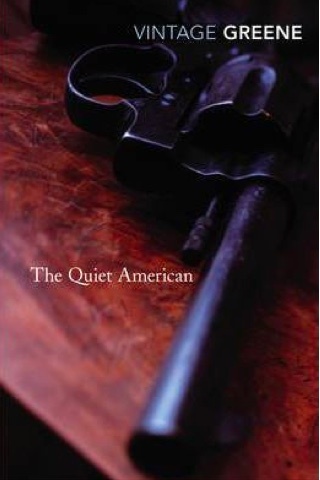 The Quiet American by Graham Greene is a classic not just about Vietnam — it portrays the nation at a crucial and intriguing juncture in its history — but about American foreign policy, and folly, as well. The multi-layered, sparsely written novel set in the early 1950s remains a searing critique of the US meddling in the internal affairs of a nation and people it knows nothing about. Like Norman Lewis’ travel memoir Dragon Apparent, Greene eschews sentimentalisation, for the most part, again an unexpectedly refreshing take when one has become a little numbed by a lot of the insipid travel writing colliding around the web these days (we should know, we write some of it…) Greene, who was a correspondent himself in Vietnam from 1951 to 1954 and found inspiration in a real life American he once shared a ride with, writes from the perspective of Fowler, a jaded British foreign correspondent and long-time Saigon resident. The novel opens with the death of the eponymous American diplomat Pyle, and a series of flashbacks shows the difficult history of their relationship. There’s a Vietnamese woman, Phuong, whom they tussle over (of course); but the more sinister thread, with political undertones that reverberate to this day, is Fowler’s suspicion that Pyle was involved in a bombing as he did his part seeking to create a “Third Way” between communism and colonialism, riding roughshod over the actual needs and wants of the Vietnamese. The Quiet American explores innocence and the devastation it can wreak, even with the best intentions at heart and questions the culpability of those who do not explore the ramifications of their actions. Although it has perhaps remained a bestseller thanks to its amazing prescience in predicting the mess that would become the Vietnam War, it’s also at heart a beautifully written and evocative book. Anyone heading to Vietnam must add to their essential reading list.